As Colorado continues its run as one of the leading incubators for America's legalized marijuana industry, it's no wonder the green stuff is seeping into more and more products. Such is the case with coffee, which might seem like an odd combination considering waking and baking is the territory of only the most serious potheads. But two startups are serving up a cannabis-laced pick-me-up that should actually calm you down. While pot coffee is already on the menu in some places and even in K-cups, Colorado-based Native Jack and SteepFuze are both launching coffee products that take advandate of the effects of the non-psychoactive cannabidiol (CBD) compound to give you a caffeine buzz without the jitters. Native Jack's foray into cannabis coffee is a canned Thai iced coffee-style beverage that retails for a whopping $10 per can. SteepFuze is taking the more homegrown route with CBD-infused beans roasted by Unseen Bean found Gerry Leary and sold by the pound for $75. 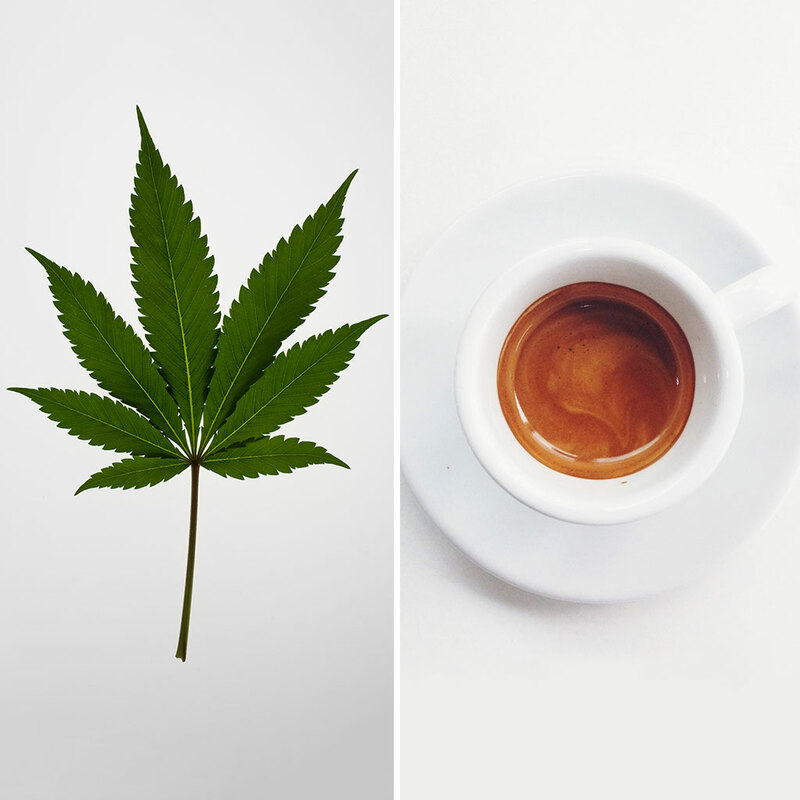 The high price (heh) has to do with the cost of the anti-inflammatory and medicinal CBD, rather than than any artesanal roasting or brewing techniques. Still, the companies hope the venture pays off as a way to introduce people who are using cannabis for its soothing purposes or using coffee for its perking up purposes to a much more convenient way to mellow out. Who knows? If it's a success, Colorado just might start seeing Starbucks putting a "frap-pot-ccino" on the menu.